How Do I Order? 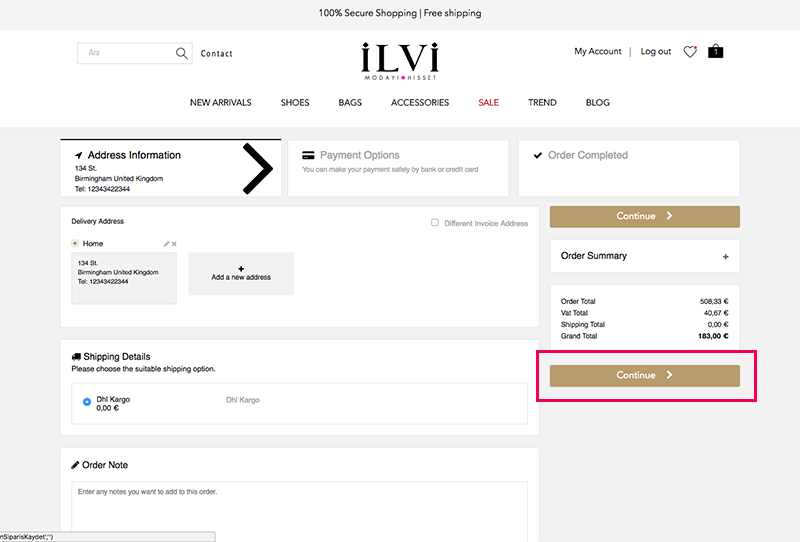 - Follow the steps in order to place an order easily. Please follow these steps in order to place your order. 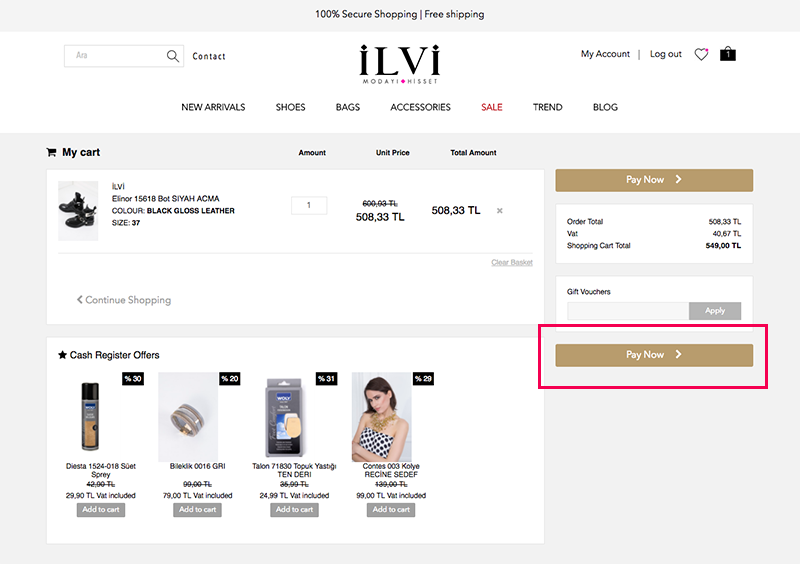 1- Create an İLVİ account or sign in. Find the item(s) you wish to order via search bar or navigation bar. 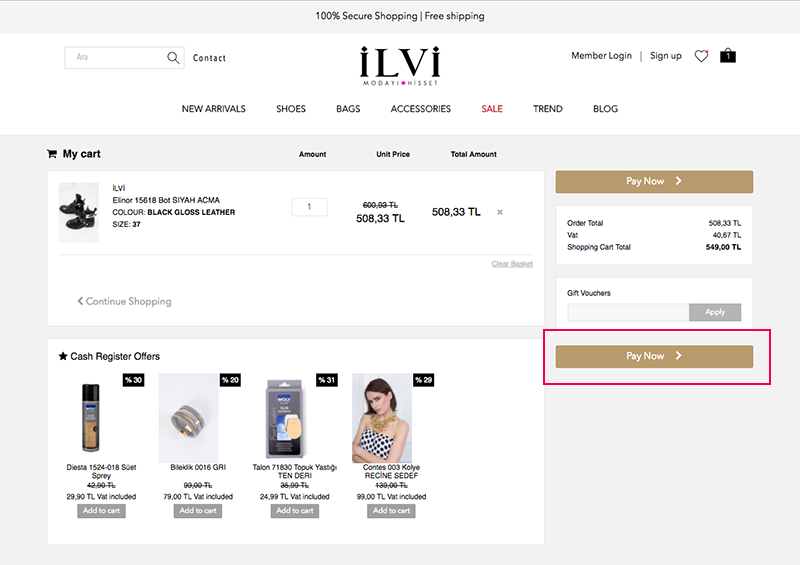 Select the variations as you need and then select ‘‘Add to Cart’’. 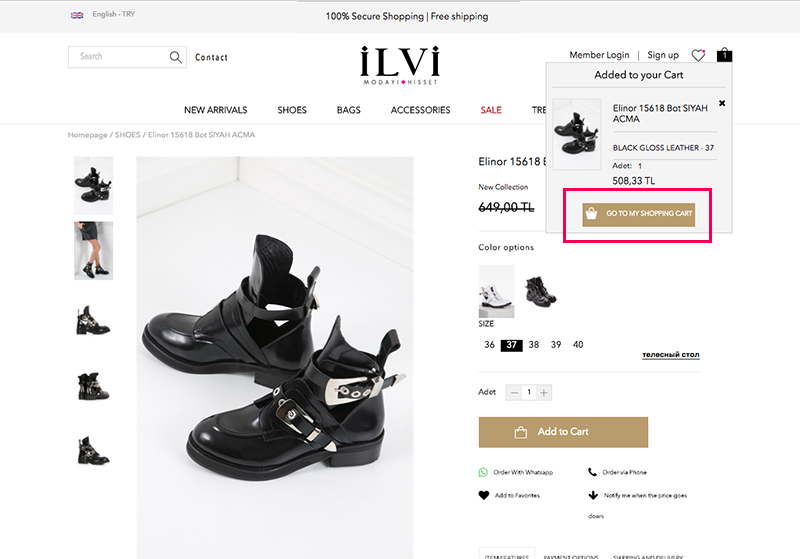 2- After you add the item(s) you desire, select ‘‘Go To My Shopping Cart’’ on the pop-up window. 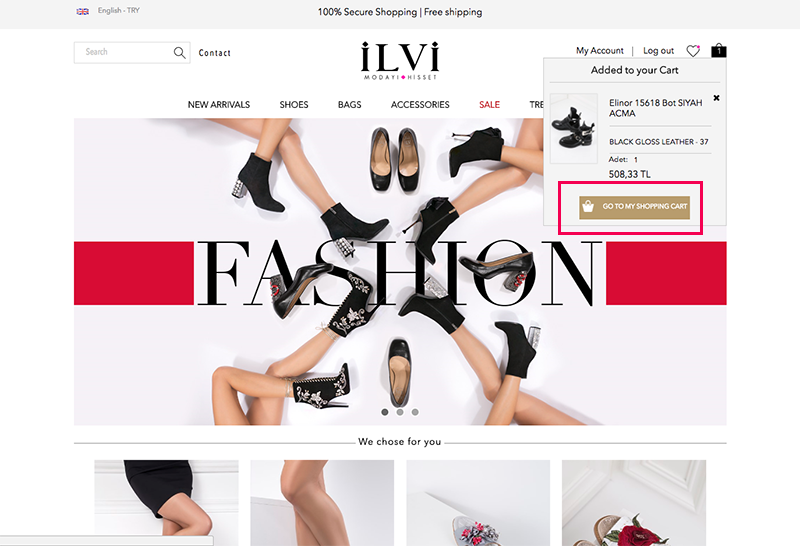 You can also go to your cart by clicking the shopping cart icon at the right top of the page. 3- Edit the quantities if you need to and use your voucher codes if you have any. Select ‘‘Pay Now’’. 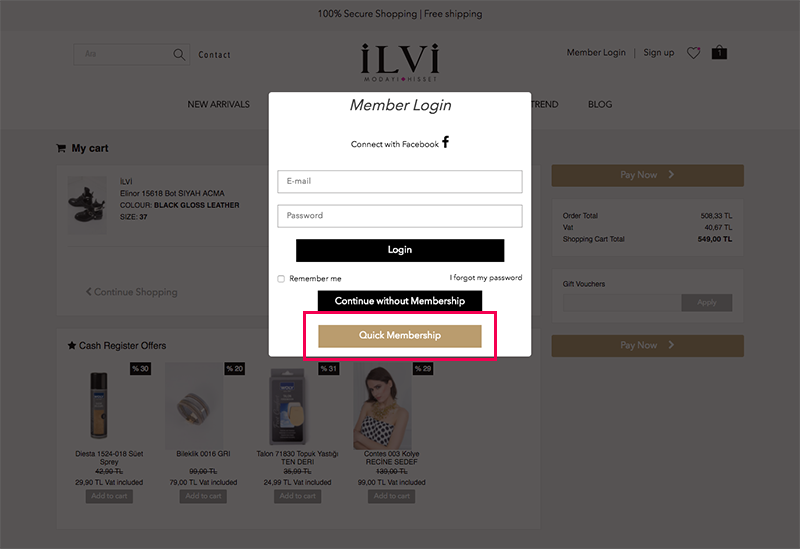 4- If you haven't logged in yet, a Member Login window will pop up. 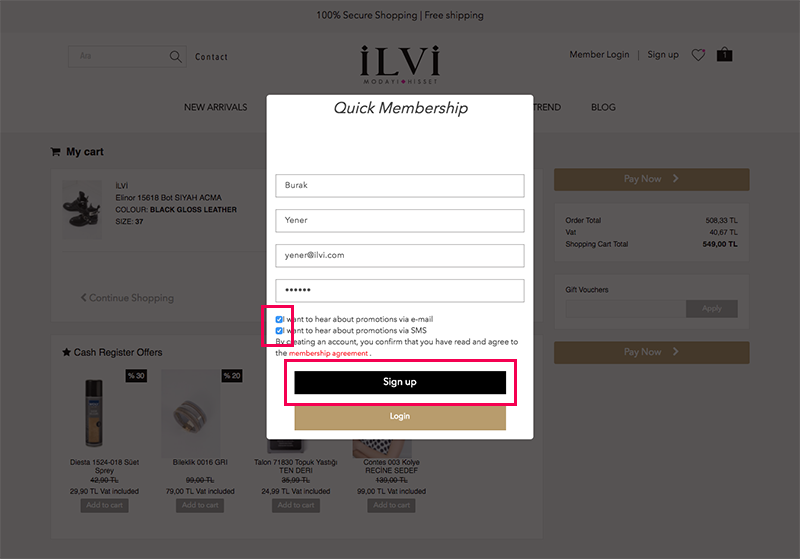 Log in with your e-mail address and password or select ‘‘Quick Membership’’ if you don't have an account. 5- Fill the form and then select ‘‘Sign Up’’. 6- You will be redirected to our homepage. 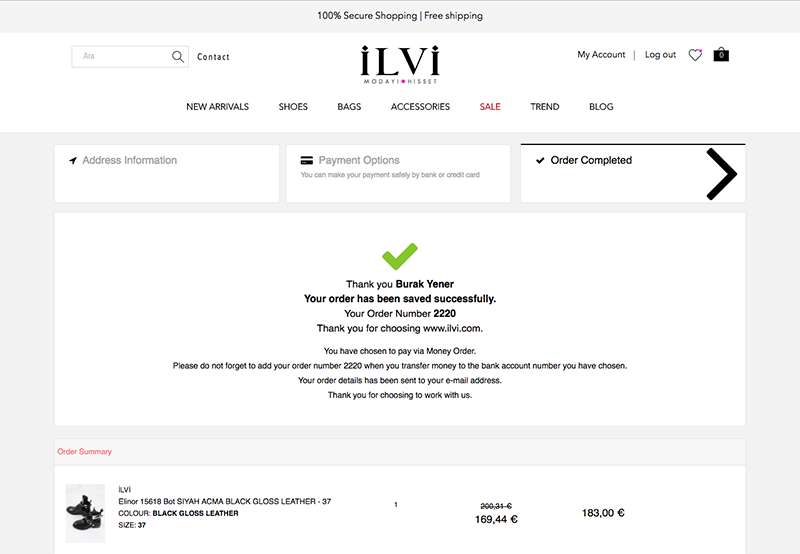 Click the shopping cart icon at the right top of the page and select ‘‘Go To My Shopping Cart’’. 7- Edit the quantities if you need to and use your voucher codes if you have any. Select ‘‘Pay Now’’. 8- If you haven't added your address information yet, fill the form and select ‘‘Save’’. 9- You can edit your addresses or add a new address on this page or on ‘‘My Address Book’’ tab under ‘‘My Account’’ section. Check your delivery address and then select ‘‘Continue’’. 10- Select the payment method. You may pay via credit card, debit card or bank transfer. 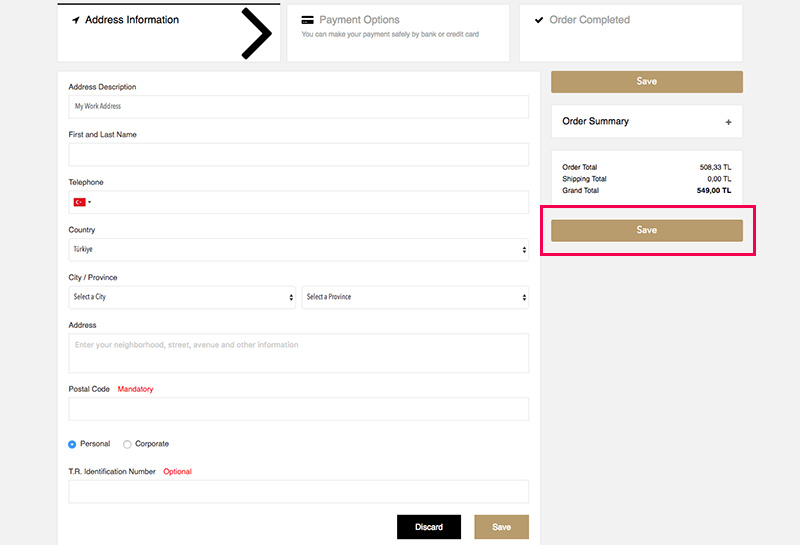 Then select ‘‘Complete Order’’. 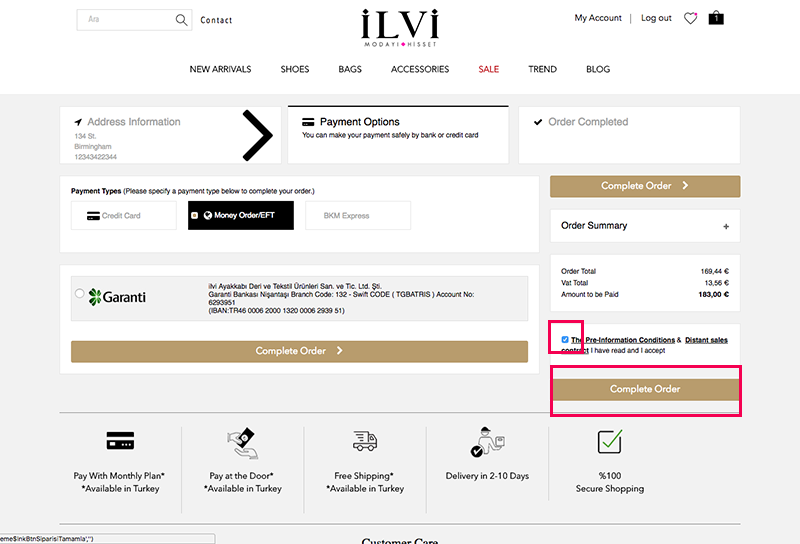 11- When you successfully place your order, you will see a page of your order's details as shown below. You will also receive an e-mail about your order. You can track your order on ‘‘My Orders’’ tab under ‘‘My Account’’ section. You can provide more information from our customer care team with your order number.